Being back on campus, got me thinking about the ways I could save money when I have numerous vices like coffee and ice cream. Coffee is easy. You just make it at home and the amount of money you save is ridiculous, although I do still stop for a mid-afternoon cup when I have a super long or hectic day. For a long time now, I have heard of banana ice cream but I was not a believer. It’s healthier for you and buying bananas is A LOT cheaper than buying actual ice cream. I did it guys. I converted. I am now a banana ice cream LOVER and it is a staple in my freezer, because you can keep it like actual ice cream. The recipe is literally the easiest thing ever. I used three bananas. It made enough ice cream for about four people, or just myself, but I don’t even feel like it’s a cheat meal. Peel the bananas and cut the into pieces – the smaller the pieces the faster it is going to blend. Put it in an air tight container and put it in the freezer for at least 3 hours. (I forgot about them so I left it in there for two days, but frozen bananas don’t go bad – I think). Put it in a blender and blend it until smooth – you can add a little vanilla or any other kind of extract at this point if you want. When your ice cream is smooth it is ready to go back into an airtight container and pop it in the freezer until you’re ready to serve. You can add other mix ins like chocolate chips or just leave it as topping. Serve and dig in. I topped mine with blueberries and it is amazing and definitely killing my ice cream craving. I am converted. 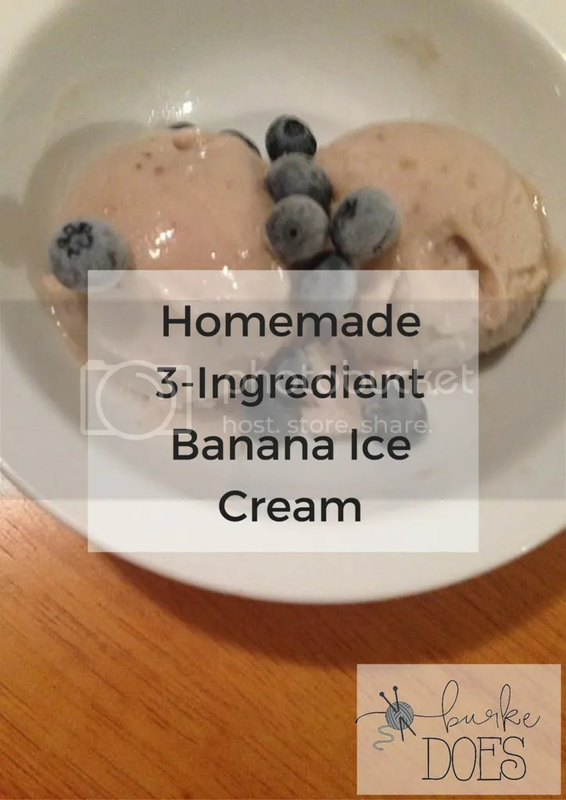 Banana ice cream is the best thing to happen to the clean eating world! It is also completely raw and vegan so it is perfect for almost any dietary restriction, unless you’re allergic to bananas. And for added fun, we’ve got an awesome giveaway for you, our readers!